As of build 7682 of Take Converter, TakeConverter supports EDL format CMX3600. There are many EDL formats, but the one that most all NLEs (non-linear editors) are able to generate is CMX3600. In most modern NLEs, there is also another format called AAF (advanced authoring format) or a proprietary XML format. These are intended to be used to migrate entire projects between editing suites and does not serve the purpose that we need as far as TakeConverter is concerned. Generally speaking, if you never worked with EDL and doing an online, please read the workflow below and the specifications in this section carefully. The main difference when dealing with EDLs is that you are restricted to a single video track (or “layer”) at a time, so we recommend keeping all Previzion clips on their own track to make things easier. Instead of manually typing IN and OUT timecode points for every clip in TakeConverter, you can now benefit from the use of an EDL, or “edit decision list” and batch convert your entire project. This serves as a good starting point for creating your TakeConverter Queue, saving valuable time. There are many reasons to have to render things in post-production, and, hence use Take Converter. The flow chart above uses resolution as a factor. For example, because Previzion can only render what comes out of an HDSDI/Monitor OUT signal, we are limited to Full HD Resolutions (1920×1080 pixels). 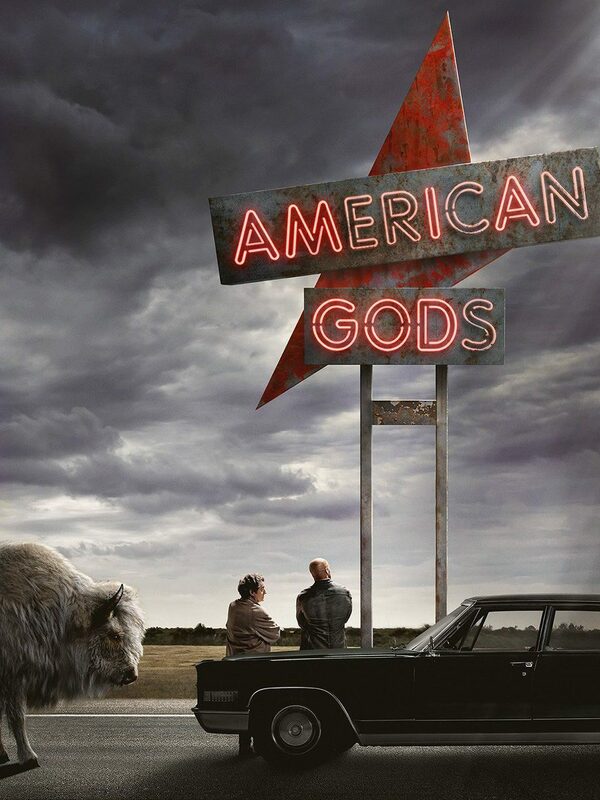 If a show is intended to be made in 4K resolution, for instance, during the editing process, editors will be using the Previzion comp at HD resolution as a proxy, or placeholder, and, later, when the 4K composites are completed, these are replaced in the main timeline, like an “online” process would. Take Data and the original Clean Green should be organized by camera (A Camera, B Camera, etc.) as well as date. This workflow relies on timecode to match many of the clips together and it’s helpful to keep these organized. In the editing stage, instead of editing using Clean Green, the editor may use the Previzion Comp to make editing decisions. We recommend keeping all Previzion Comp clips to be on their own video track in your timeline. This helps keep things tidy when it comes time to generate the EDL. 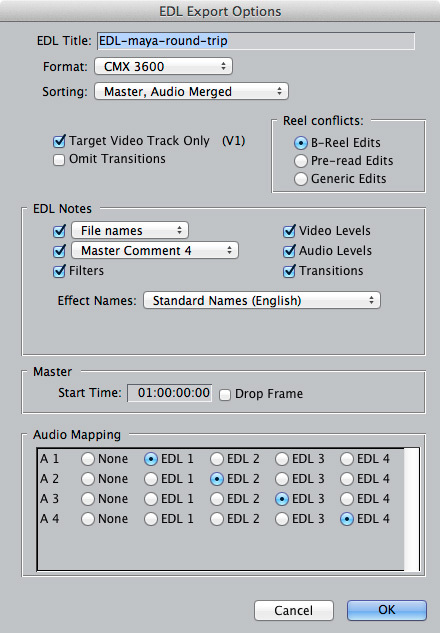 Once the editor(s) has(have) completed editing, we generate an EDL for all Previzion clips. Please see EDL specifications below. To reiterate, it’s helpful to keep all Previzion Comp clips in their own timeline. To match the camera moves that were done during shooting to render at full resolution, you will need to import Tracking Data for a specific clip. To do this, we will use TakeConverter. 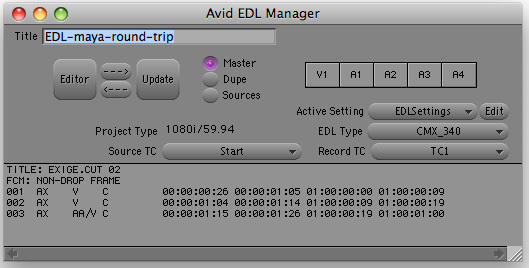 We can import the EDL generated for the given project and match the IN and OUT points for each clip to their respective Take Data. Most of the matching is done automatically, but when there are multiple timecode matches, TakeConverter queries for which option is the correct clip. This will create a “Queue” with all your Previzion clips. We can then batch export the Queue in the format of your post-production application of choice (Nuke, Syntheyes, Maya, etc.). You can then import the converted Take Data as a camera node. The camera node is already animated with the correct curves for motion and lens information. Depending on the 3D authoring software, you may need to input the correct sensor size. This is sometimes called “backplate” or “film back settings.” This information is located in the original Take Data. Import your final CG scene/environment and the original Clean Green. These all should be trimmed to the specific timecode IN and timecode OUT to match the camera move. Key your green and make sure that the composite looks proper. Output the full resolution composite clip. Use this video clip to replace the Previzion Comp in your master timeline in your non-linear editing application. Verify that the motion and the composite look proper and output your final output. On the day of your shoot, when setting up Previzion, it is very important to always check that the timecode coming into Previzion matches the timecode being recorded by the camera and/or external recorders. For the Take Data to be useful, it’s important that you have timecode coming into Previzion. You can also choose to capture a Thumbnail of the film slate (or clapboard) with all the scene information by pressing “Capture Now” or the key “U” in your keyboard. There are many fields for inputting information about the production and the given scene that is accessible later in TakeConverter. We recommend putting as much information about a given scene as possible (i.e. circle take, bad take, director liked the acting, etc). For as long as a Previzion take is rolling you can enter new information. At the time you cut a take, all information typed into Previzion is stored as Take Data. Place all Previzion clips in the same Video Track. 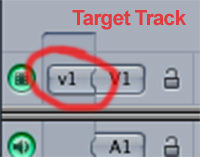 You can then make this track the main track for your EDL. Make sure to export as CMX3600 format. Audio should be either ignored or merged as a single track. Final Cut Pro X is unique in the fact that it’s the only “pro” level NLE that does not have the capability of exporting CMX3600 out-of-the-box. To convert a Final Cut Pro X XML into a CMX3600 compliant EDL, you will need to use an EDL converter such as XMiL’s “EDL-X.” (learn more on XMiL’s website http://www.xmil.biz/EDL-X/EDL-X.shtml). Ensure that EDL Type is set to CMX3600. Dupe List tab should be set to None. Save Settings… and return to main EDL Manger window. Select which track to include in the EDL. You only need the video track with the Previzion clips selected. Not audio needed. Before loading an EDL, make sure to set your take directory to the correct location of all corresponding Take Data. The take directory is the folder in which all Take Data folders are located. When using multiple cameras, make sure to have the correct folder selected for the given camera. Next, you can import and EDL to start building up your Queue. To import an EDL in TakeConverter, simply select the corresponding EDL file using TakeConverter’s EDL impoter. All direct matches (by timecode) will be automatically added to your Queue. 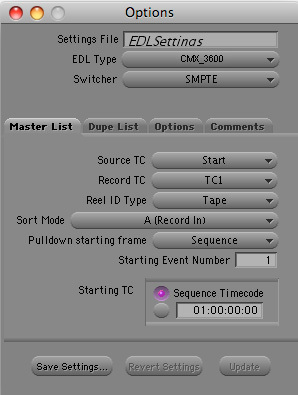 Any conflicting timecode matches will pop up in a dialog window that queries for the correct take. You can select the correct take and proceed to the next item. When you are done building up your Queue, select and Output Directory, a folder to save all your converted files and select the formats for which you would like to convert your Take Data into.